BuffettHe brought his first stock when he was 11. He buys to hold-buys and holds. 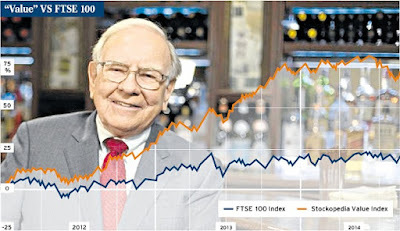 Buffett If u r not willing to own a stock for 10 years don’t even think of owning it for 10 minutes. Never put more than 10% of our assets into your mad money account, no matter what happens. A great company is not a great investment if you pay too much for the stock.For most of us, 10% of our overall wealth is the maximum permissible amount to put at speculative risk. Investing isn’t about beating others at their game. It’s about controlling yourself at your own game. Buy an outstanding company now. The intelligent investor must focus not just on getting the analysis right. You must also ensure against loss if your analysis turns out to be wrong-as even the best analyses will be at least some of the time. Graham is saying that there is no such thing as a good or bad stock; there are only cheap stocks and expensive stocks. Even the best company becomes a “sell” when its stock price goes too high, while the worst company is worth buying if its stock goes low enough. Never dig so deep into the number that you check you’re commonsense at the door, and always read the proxy statement before (and after) you buy a stock. Ask yourself which company’s stock would be likely to rise more; one that discovers a cure for rare cancer, or one that discovered a new way to dispose of a common kind of garbage. The cancer cure sounds more exciting to most investors, but a new way to get rid of trash would probably make more money. Never buy a stock immediately after a substantial rise or sell one immediately after substantial drop. A $10billion company can double its sales fairly easily: but where can a $50-billion company turn to find another $50billion in business the bigger they grow the slower they grow. As Graham never stops reminding us, stocks do well or poorly in the future because the business behind them do well or poorly-nothing more, and nothing less. The intelligent investor never dumps a stock purely because its share price has fallen: she always asks first whether the value of the company’s underlying businesses has change. Fisherwhen to sell1- the original purchase was a mistake.2- the company has change3- there is a better buy out there. Buffett purposely limits his selections to companies that are within his area of financial and intellectual understanding. When you have able managers of high character running businesses about which they are passionate, you can have a dozen or more reporting to you and still have time for an afternoon nap.